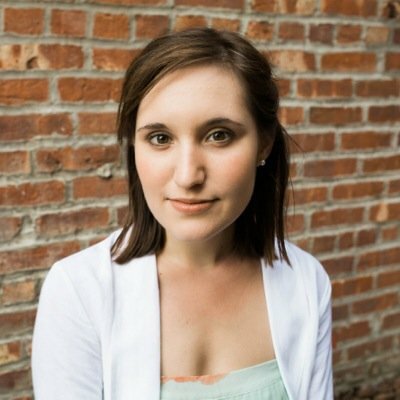 During his State of the Union address Tuesday evening, President Donald Trump noted two important dates the United States will celebrate this year: the 75th anniversary of D-Day, which marked the beginning of the Allied liberation of Europe, and the 50th anniversary of the moon landing. 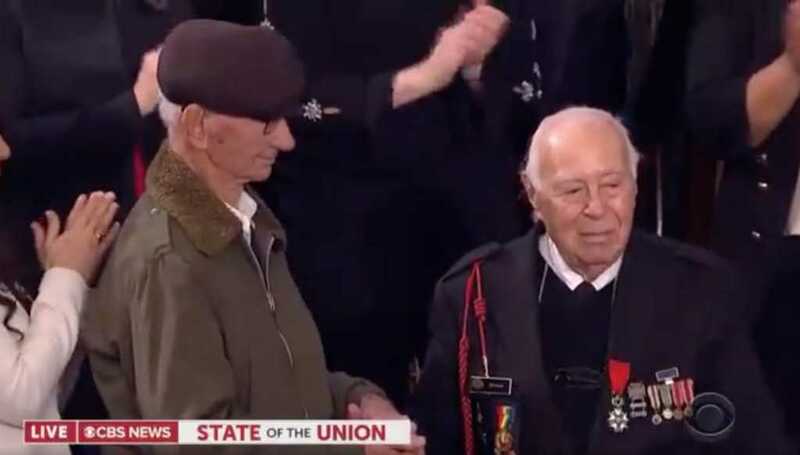 Trump first honored three veterans in attendance who fought on D-Day. “Gentlemen, we salute you,” the president said. Trump went on to honor another special guest, Buzz Aldrin, who was one of the Apollo 11 astronauts who planted the American flag on the moon in 1969. When his name was announced, Aldrin stood to salute the commander-in-chief. 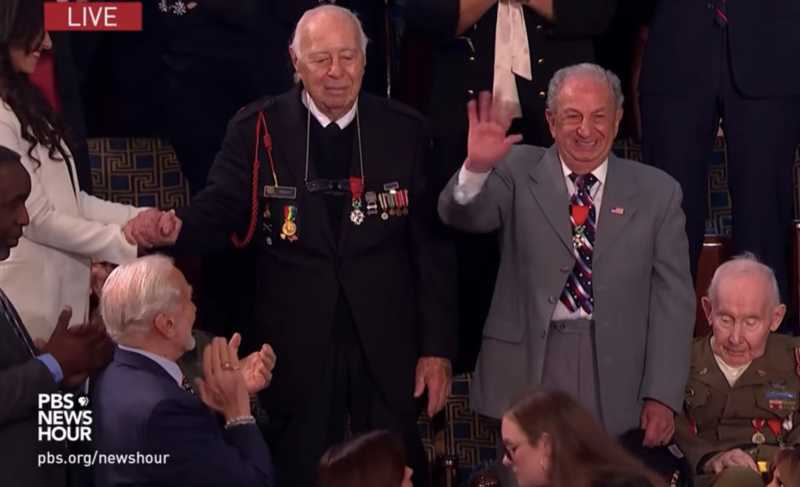 Later in his address, President Trump circled back to the World War II veterans, noting that Herman Zeitchik was among the American soldiers who helped to liberate Dachau nearly a year after the D-Day invasion. 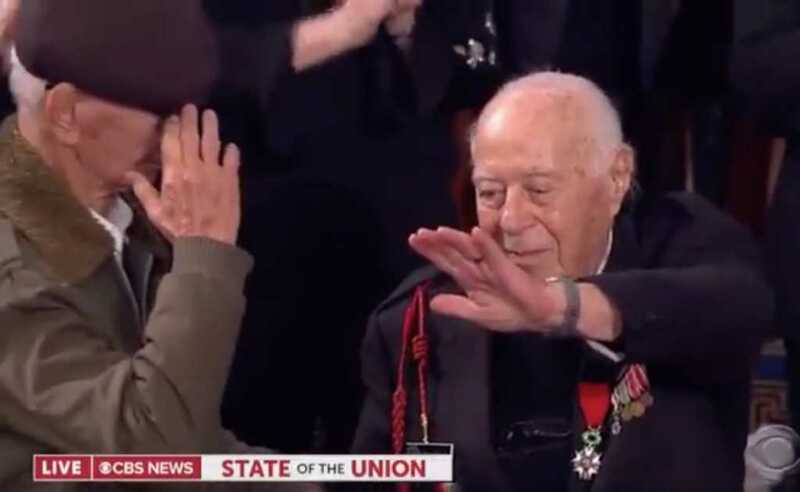 Also among Trump’s special guests was Holocaust survivor Joshua Kaufman, who was a prisoner at Dachau when Zeitchik and a group of his fellow soldiers came to rescue him. 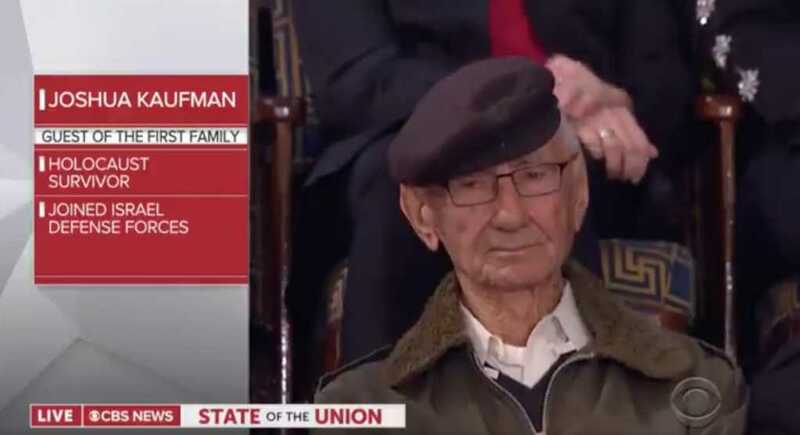 “Almost 75 years later, Herman and Joshua are both together in the gallery tonight, seated side by side here in the home of American freedom. Herman and Joshua, your presence this evening is very much appreciated. Thank you very much. Thank you,” the president said. Kaufman helped Zeitchik to stand and gave him a salute as Trump commended him for his service.